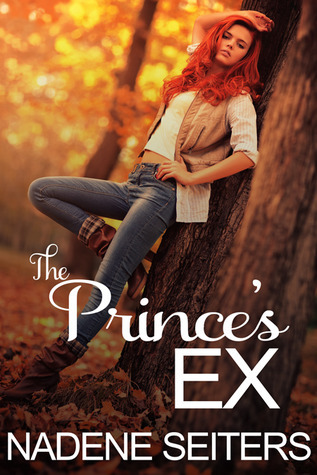 THE PRINCE’S EX by Nadene Seiters is a realistically written story about one woman’s struggle to find herself after a bad breakup. After exactly one year Amelia is dumped by the royal she had believed she’d be spending the rest of her life with and given no other explanation than it just would never work out between them. This is not the first time a man has left her, starting with her father at a very young age, so she finds it hard not to feel there’s something wrong with her. She tells herself she must be unlovable and goes into a bit of a tailspin. Her best friend Tina gives her about a month of feeling sorry for herself and then calls enough, enough. I liked her friend, Tina, a yoga instructor, who she meets for coffee everyday in a local coffee bar where they discuss their lives for all in the shop to hear. She was an independent young woman who enjoyed the single life, loved men, and wasn’t the least bit repressed about her sexuality, just because she wasn’t ready to settle down. What I liked most about her is that she truly cared about and was loyal to Amelia. She hated seeing her best friend hurting and decided to do something about it. She’s certain what Amelia needs is to get back out there and meet a guy who can take her mind off her heartbreak. So she convinces Amelia to choose a name out of her phone, from the men Tina knows, and to go out on a blind date with him. The date goes well at first, but then turns into a bit of a disaster. His reaction and Amelia’s reaction were comical to me, but definitely one of those things you can only laugh about after the fact when it’s happening to you. Amelia herself is a wonderfully written character, beautiful, strong, likeable, independent and successful in so many ways, but also a typical woman with insecurities. A good person you would want to have as a friend and can’t understand why she doesn’t see her own worth. Ms. Seiters does a tremendous job allowing her readers into the rollercoaster of emotions and the mindset of Amelia as she finds her way. I felt that because she had such a rocky beginning her need for affirmation and security left her a bit vulnerable and confused. It took her awhile to open her eyes to what was right in front of her after setting her sights on a different sort of future for so long. I was completely drawn into her journey and rooting for her to find her happiness.